Gehrich TCPA Settlement - Everything You Need to Know!! Banks Chase Gehrich TCPA Settlement – Everything You Need to Know!! Gehrich TCPA Settlement – Everything You Need to Know!! 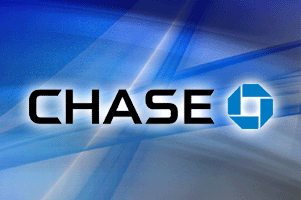 There is a new proposed settlement in a class action lawsuit brought against Chase. The Gehrich TCPA suit alleges that Chase illegally made collection phone calls and texts to customers. Here is some more information. 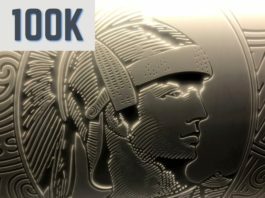 Automatic Alerts relating to a Chase credit card or bank account, and you were not the intended recipient of the communication. Cash Payments. The following persons in the Settlement Class are eligible to submit a Claim Form and receive a cash payment: (1) persons who received Collection Calls relating to a Chase credit card or bank account; and (2) persons who received Automatic Alerts and were not the intended recipient of the communications. Depending upon their relationship with the Chase entity that placed the calls, Plaintiffs estimate that each eligible Settlement Class Member will receive a cash award of $20-40 per claim. This is an estimate only. The final cash payment amount will depend on the total number of valid and timely claims submitted by eligible Settlement Class Members. Please see the Class Notice for additional information. Persons in the Settlement Class who only received Automatic Alerts relating to their own Chase credit card or bank accounts are not eligible for a cash payment and thus may not submit a claim. You must file a claim, objection or exclusion by February 9, 2015. the hearing will be held on March 19, 2015. I know many of my readers are Chase customers, but hopefully none of you have had to deal with collections issues. If you have, then you may qualify for a payment. For all of the details and the full information about the Gehrich TCPA settlement & suit, head over to the settlement website. You can file a claim there as well. Yes Chase called me on my cellphone between July 1 2008 and December 31 2013. I received Many emails, warning me of unauthorized action on my account. I received these calls several times at my job!! I called repeated to STOP THE Harassing prerecorded calls and texts!! I’m so glad this has happened. It’s time that these companies follow the law and Think about what happens when the rules and laws are broken. How do you file a claim? There is no claim form. I am looking for a phone number to where I can talk to a live person. Where is the form to. sign in. You don’t think that is dishonest? I have a card for the Gehrich TCPA Settlement and I got to ask some Questions I had a savings account with them and they switched it from savings to checking without calling me to let me know if im eligible for this claim. I have been receiving a check about the chase lawsuit for about a year and a half or so and I have never cashed any of them. Each time I received one the dollar amount has gotten bigger each time. It is as someone is trying to get me to do so so that I can be checked of of their list. I have kept all of these checks, but don’t know why. If this has happened to anyone else please let me know. The checks are only 5.98 and one for 11.00 and the last one was 13 something. Oh well maybe later will eventually get a check that is worth putting it in the bank. I received many calls on my home phone, cell as well as emails from Chase collections as well as my Mother Lucille Parks who is now deceased. How can I collect on her behalf because I was on her accounts as well and when they couldn’t each her they would contact me? I also received calls telling me that my account was overdrawn and the person that called me asked for my personal information to report identity theft. I didn’t give it to them. I went and talked to the manager at the bank instead. I have no idea what this is all about! I do not remember if I received any phone calls from Chase or not but if I can get a check for $20-$40 dollars, I would greatly appreciate the money! Any financial assistance I can get is worth the effort. Please let me know what I should do next! I have no idea if I’m eligible for this class action, but did receive a card from the settlement. I have no idea if ineligible for this class action. But did rrceive a card from the settlement. I was one of the client that filled the claim form and I have not heard from the Gehricht or the settlement please contact me and let me know what’s going on furthermore I’m still receiving phone calls and emails claiming to be with chase and attempted to charge my account is don’t really know if they did. I know I’m part of the settlement. Please call me at 917) 939- 6809. I received emails, phone calls and was charged for it. I am still getting emails. Received a settlement check for $9.80 on June 21, 2017 didn’t know why until I went online to make sure it’s a valid class action. and it is. 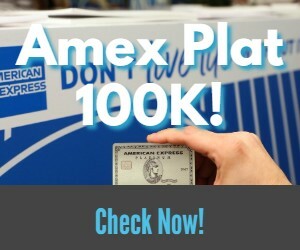 I have 10 days left before this check expires!!! Weeeeeee depositing today! Ps: Pay close attention check is in a form of a post card doesn’t look like a check at all, but it is!